.WARNING!!! 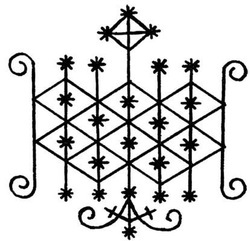 Voodoo, when evoked will bring about the desired changes you are looking for; provide you the spiritual guidance you seek; it fulfils destiny; overcome obstacles, remove blockages; rid houses and business premises of unwanted evil spirits and shows the way to lasting Glory. BEWARE!! AFRICAN VOODOO AND ITS VARIOUS RITUALS AND INCANTATIONS ARE NO CHILDS PLAY. When only the very best can surfice to crush and crash all gates and barriers to bring forth what is needed. Take the load off your shoulder, give it to us and simply sit and enjoy the ride. We will carry your extra weight to your desired destination with Voodoo. Enjoy your journey into hope; experience liberation; walk with dignity into lasting fulfillment. Be positioned for Glory and exploits; be the envy of your friends and associates; remain untouchable, physically and spiritually. Security from want; relief from fear of starvation and freedom from the visits of the debt collector; get happiness and self advancement with our ancient Voodoo recipe; be the ruler of your world; change your destiny to suit your dream and above all conquer your fears. do not allow your life to wither away with wants and more wants. take charge of your life and create the ideal situation you desire. you want that man/woman? leave that to use and we will deliver her/him to you without fail.. and more love, passion, excitement, health and hope to accompany it. Potions are commonly used for Voodoo rituals. The most popular potions are used for love spells, death spells and money spells. There are other unique potions made by the Voodoo High Priest used for a more specific problem. These include spells for special sicknesses and spells for personal needs. Not every one has access to the potions as they very expensive. The priests make them out of rare, expensive materials and they are difficult to create and evoke. Voodoo is often associated with witchcraft because of these spells and potions. It is also a very misunderstood religion because of their beliefs and practices. Voodoo is a spiritual activity. it defies Science and logic. its mechanisms cannot be seen with the naked eye just as gravity cannot be seen, but we all know that gravity exist and one must work in accordance with it's outlined principles. distance does not exist in Voodoo. You may be physically present in our temple or be in a far away place like Australia or Alaska. The results is the same. It works at the speed of thought. faith and belief have nothing to do with the outcome of a voodoo ritual. just as they have nothing to do with the effect of gravity. both are unseen, but the power therein cannot be denied. Temujin is a Voodoo High Priest and Master Spell Caster with more than 27 years of experience in the practice of Ancient Traditonal Voodoo and Black Magic Spells and Rituals. He hails from a long line of Ancient Voodoo Practitioners from 5th generation. It is our mission to offer our services to those in need of help. Temujin is recognised as one of the TOP Most Powerful Voodoo Master Casters. He was honored with the High Voodoo Priest in 1978. It does not matter what your background or religios affliation may be. Voodoo as practised by his forefathers is not dependent on belief or faith to realise a wish or bring a desire to pass. His methods are simple. Convert a desire or a wish into a spiritual entity which manifests into a physical reality. This will create life changing situations and usher in love, wealth, happiness and health so that you can enjoy life to the full. It will bring into your life your utmost desires. The true test of any Voodoo High Priest is not casting a spell to return a lover. it is identifying and dismantling the deadly effects of Black magic. that is where the Sheep is differenciated from a faking Goat. Dismantling, even the least omnious Black Magic Spell can produce dangerous consequences both to the Voodoo Priest and the client if adequate protection is not provided. We consider all spells seriously, hence, we provide all the necessary protection to our client before we begin. We work with a wide range of Voodoo Dolls, Amulets, Talismans, Candles, Spirits, Crystals and a variety of ancient ingredients, including Herbs, Oils, and other elements of nature. in an exceptionally difficult case, it should be noted that we may revert to witchcraft, Wicca, Obeah and Santeria to solve a problem or difficulty if we deem it necessary, with the full consent of the client of course. we can even employ Witchcraft, Caballa and even the dreaded Indrajaal if that becomes an option to get the desired result. - is your love life falling apart? - do you want your love to grow stronger? - is your partner losing interest in you? then, look no further. Our time tested Ancient Voodoo rituals will help locate and bring your wishes to pass. As spell casters, we have helped many people in need since ancient times. Today, Voodoo are getting requests from people from all walks of life. This is an indication of how effective these spells are in dealing with the problems we encounter in our everyday life. Some of these problems can produce formidable challenges with drastic consequences if not nibbed in the bud. Problems that occur in a relationship or marriage can lead to the end of it. People are constantly in search of practical and effective ways of living a peaceful and happy life. The number of people who depend on spells are increasing with each passing day. Now take a look at how spells can offer help in saving your marriage or removing problems from a relationship in our list of spells. We want you to remember this day: You are an amazing person and providence has led you here for a reason. We have the tools that you need, and they are right here on the pages of this website to turn your tomorrow into your desired world with Voodoo. Don't let today pass by without taking some positive action to move one step closer to achieving your desire in life. You have the power to change your life - use it! As the saying goes “ there is only one day in a man’s life in which he can do nothing. ‘YESTERDAY’ you cannot do anything about yesterday because it is gone. But you can do something about tomorrow because today you have the opportunity to shape what you want tomorrow to be with Voodoo” Knowledge is power only when it is applied. do not let this chance pass you by.